White gold just waiting for you. Carving your way down majestic slopes on virgin snow - just what every skier dreams of. Treat yourself to the delights of such a magical, unique and unforgettable experience. We will take you on a voyage of discovery of the most wonderful places to ski on the planet. More than just an experience, this is the adventure of a lifetime! Lost in the heart of British Columbia, an incredible lodge combined with Canadian snow. A real signature product. The combination of icebergs and incredibly steep slopes make this probably the most Heliski extreme experience. 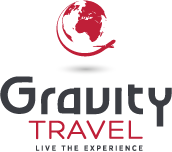 Qualified professionals, mountain and travel specialists. Specialists in flying over the mountains - their mountains. Designed for your safety and comfort. Trust your dreams to us and we'll make them come true.